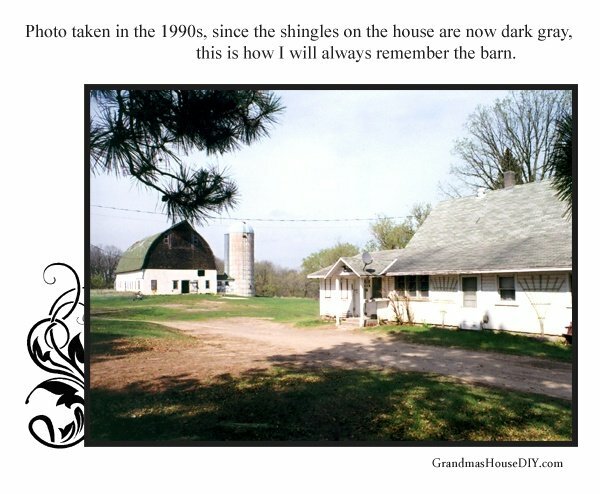 This blog is based on my “Grandma’s House” that is: my mom’s mother: Charlotte. This is as much her story (and my Grandpa’s) as much as it is mine. 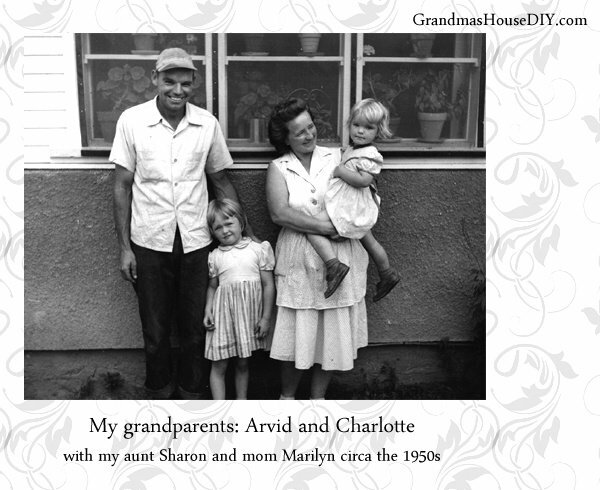 Charlotte and Arvid lived for over fifty years in the farm house you’ve been hearing so much about which they purchased in the fall of 1950. 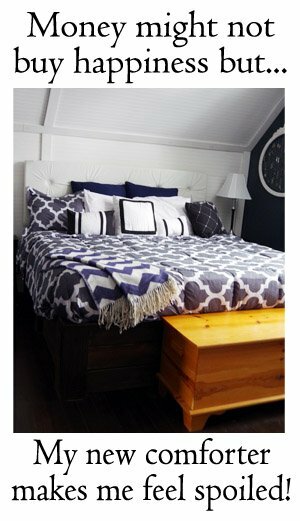 The original home was built in 1915: A 500 square foot box on top of a 500 square foot basement accessed from outside. The wrap around porch was added in 1925 before my grandparents’ purchased it. When they moved in it wasn’t long before they made some improvements such as the awesomeness of, you guessed it, indoor plumbing! And a new kitchen and flooring and the like, not to mention closing in half of the screened in porch to create an entry, a bedroom and an enclosed staircase down to the basement. The 1960s was the last time the house saw most of its improvements until I tackled it in April 2014. Charlotte (my grandma) lost her mom when she was only five years old and was on her folks’ farm, taking care of her dad, when she met my grandpa Arvid. 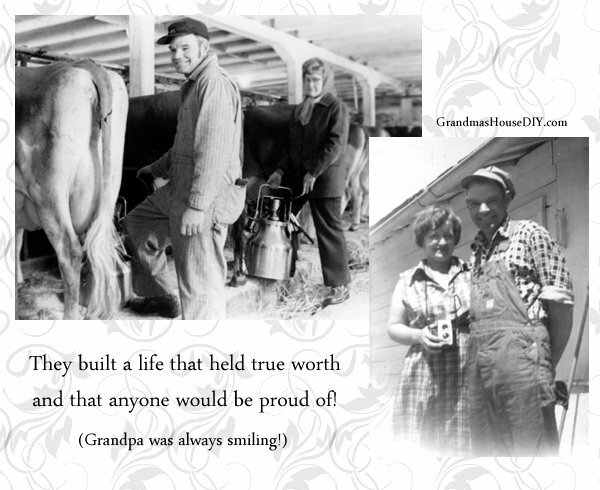 He was fresh back from world war II when they fell got married and moved onto the farm. They had an enormous garden, did a bit of farming and they milked a herd of Jersey cows for many years. When they retired they converted the barn into a wood working shop where they built all sorts of awesome stuff (dressers, beds, end tables, you name it!) and this is how I remember my grand parents: out in the barn building things. The animals were long gone by the time I came around but I got to be a part of the wood working for a little while. My grandpa had a stroke when I was fifteen. My grandma had long since been diagnosed with macular degeneration and was losing her sight. That was the end of their wood working days and everything on their little farm that had still been going, just stopped. 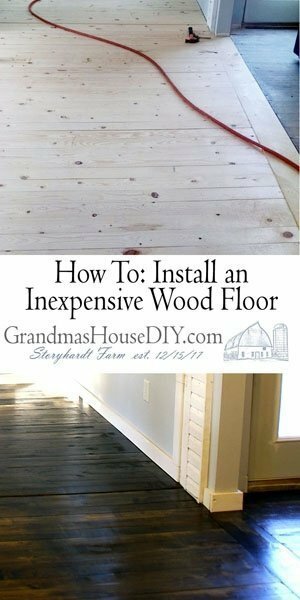 Years later, when I started on the renovation journey of the farm house, I ran into things over and over again that felt like grandpa or grandma had only, just a minute ago, put it down with every expectation of picking it up and using it again. We lost grandma over ten years after we lost grandpa, I have no doubt that they were more then ready to be together again. They were both well into their 90s and their longevity (and their relatively good health into their later years) I believe is a testament to how they lived: Simply, on a farm and growing so much of what they ate for decades. It is the way I plan to live out the rest of my own story. Grandma was an intelligent woman, she was unbeatable at scrabble and also spectacular at Jeopardy. She was also crotchety, stubborn and impossible to change. She took good care of grandpa and, never once, did much for herself. Frivolous things made absolutely no sense to her and “new” things were almost offensive when her old things were still working just fine. On the other hand my grandpa was an enthusiastic man that liked to dance and drink and, even in his worst moments, he found goodness in life and always had something to smile about. They complimented each other perfectly. 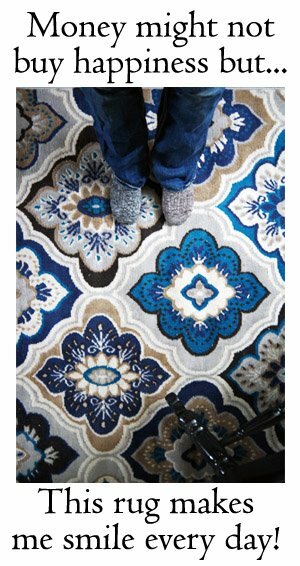 Where grandpa was easy going, grandma was serious and their life reflected that truth. They did well for themselves, were organized and raised two beautiful girls and were able to retire and enjoy many years just doing what they wanted to do. Which was: Wood working, gardening, bringing in wood for the winter and taking care of one gorgeous yard and numerous flower beds!